What was the purpose of Banners Broker? 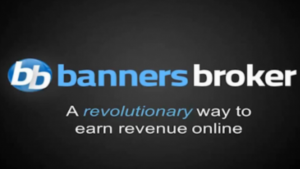 Banners Broker, a Canadian company, presented themselves as an online advertising platform. The company claimed to give business owners “the tools to help you meet your financial and lifestyle goals.” Their website would claim to help business owners receive these tools through placing banners and advertisements on websites as a source of income towards their business. Sounds good, right? It would have been extremely helpful, had it been a legitimate company. Unfortunately, similarly to my article about Zeek Rewards, Banners Broker was a pyramid scheme. Yes, ANOTHER pyramid scheme (also known as a Ponzi scheme). Banners Broker is a SCAM. Business owners invested hundreds to thousands of dollars into this illegitimate company, but ultimately ended up worse off than when they started. The package options ranged from Starter to Ultimate. Although these businesses would have income coming in from their packages, the commission that business owners were making from the advertisements would be halted without warning. Just as the company name suggests, this scam made them ‘broker’, literally. 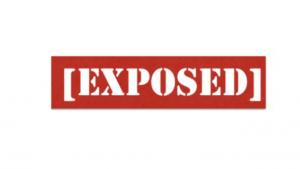 Although the exposure of businesses was expanded, the overall effect of the Banners Broker company did more harm than good. PayPal and Mastercard refused to allow merchant use on these advertisements because they saw through their scheme and viewed them as spam, which is a HUGE red flag! They did not want to be associated with the bad publicity surrounding Banners Broker. PayPal is the best way to purchase products and services because it keeps you from having to put your credit card information directly on a website. If they chose to avoid Banners Broker- things were obviously bad! Not to mention it escalated to the need of the government coming in to shut everything down. In 2013, The Ontario Securities Commission (OSC) started to investigate Banners Broker as an alleged pyramid scheme. In the previous year of 2012, Rajiv attempted to change the name of Banners Broker to Stellar Point. He claimed it was created to handle the heavy lifting of marketing, training, and support for Banners Broker. They terminated their relationship with “Stellar Point” in 2013, the same year as the investigation. 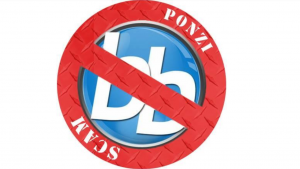 In 2014, the government shut down the Banners Broker website and the company went into liquidation. The OSC and several other Canadian agencies froze 6 million dollars and seized their books, files, hard dicks, and documents. Chris and Rajiv were arrested in 2015. In 2017, they were sentenced to two years and a $50,000 fine. You read that right- only two years and despite the millions of dollars members lost to Banners Broker, they only owe a $50,000 fine. That’s the downfall to the system; penalties are not as drastic as you would expect for pyramid schemes. The bad clearly outweighs the good for the Banners Broker scam. Although Chris Smith and Raijv were arrested and charged, this company fooled a lot of hard working business owners and merchants. Pyramid schemes are illegal and everyone that fell victim to this one are now in the clear from losing more money. Banners Broker is officially CLOSED! Are you tired of being scammed? Click here To Read My # 1 Recommendation! Do you have something to say about Banners Broker? Maybe Something to add? If you do, please take the time and leave your comment at the bottom. I would love to hear it! Thanks for reading my post, and good luck with your success! 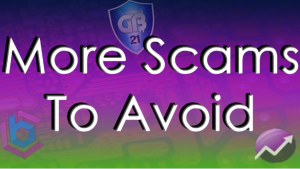 Is Wealthy Affiliate Really A Scam? Well I guess that its a good thing that you get to tell us this scam is shut for a change. Usually Im reading about scams that are on-going and that are going to economically hurt a lot of people. As you said, the penalties are pretty lax. Would you agree that internet crimes should get more attention or is it better to have less surveillance on the interwebs. Hello DrDoug, and thank you for commenting. Yes I do think that internet crimes should get more attention. More and more people are getting away every year, do to the lack of people’s attention. Hope this helps. Take care DrDoug. Thanks for the review on Banners Broker and you have provided detailed information. 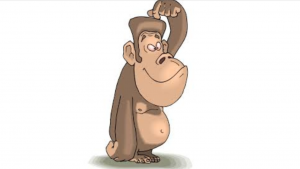 I always love the products review because it saves our time, energy, money & efforts. Thanks for the guidance. This review is going to help many people to make their decision on purchasing this product. Keep up the great work and wishing you great success. I will come back to your website to learn more information. All the very best! Greetings Paul, and thank you for the kind words. It is my goal to save your efforts, time, and especially your money. I know how it feels to not fully trust something, but still be interested in it. I know how it feels to be lost, trying to figure out what’s real, and what’s fake online. I also know how it feels to be flat out scammed. So with saying that, my only goal is to help guide folks looking for an opportunity, in the right direction, towards what’s really real, and away from the fake. Thanks for clarifying me doing so Paul. I also really appreciate you for visiting my website. I’ll have more informative post coming soon, and good luck with all of your endeavors and success!! how is the review? is it recommended..?? What or which review, and is what recommended? I’m confused..